Leading up to the 2018 IRONMAN Arizona triathlon on November 18, the IRONMAN Foundation, along with the Salt River Pima-Maricopa Indian Community, will come together to facilitate tribal youth workshops in the Tempe and Scottsdale areas, focusing on healthy living. Additionally, the IRONMAN Foundation will distribute more than US$50,000 to non-profit groups in the area. IRONMAN athletes will join the Salt River Pima-Maricopa Indian Community at Salt River High School (SRHS) to aide in student workshops, focusing on the importance of living a healthy lifestyle. SRHS students in grades 7-12 will participate in a speed bike-build along with health and wellness workshops with local IRONMAN athletes from Salt River, and IRONMAN athletes from around the globe. “We’re excited by the opportunity to not only have our students learn from some of the most dedicated athletes in the world and in our community, but to also have students make the connection that prioritizing health and wellness honours their O’odham and Piipaash heritage,” said Rob Barnes, Salt River High School Assistant Principal. The speed bike-build is part of ‘Bike for a Kid’, a pop-up service project hosted by the IRONMAN Foundation and in partnership with FLO Cycling. 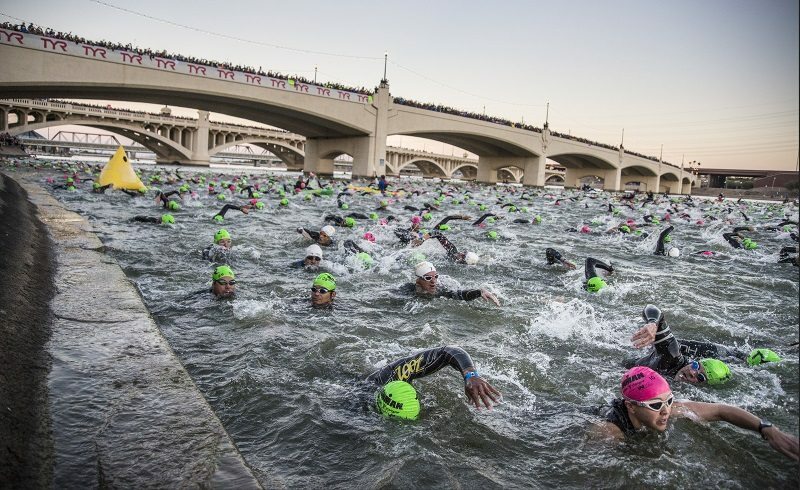 IRONMAN Arizona athletes, along with their families and friends, are invited to visit the IRONMAN Foundation booth in IRONMAN Village on Friday, November 16, and Saturday, November 17 from 09:00-17:00 MT each day. A total of 100 bikes will be built and distributed to children within the region, including students at Salt River Elementary School. In addition, the Salt River Community Children’s Foundation will receive a US$10,000 Community Grant from the IRONMAN Foundation. The IRONMAN Foundation Community Fund provides community and volunteerism grant opportunities to non-profit organizations where IRONMAN events are held. This year’s grant funding brings the total giveback to more than US$910,000 in the Tempe region. In 2018, the IRONMAN Foundation will distribute more than US$1.7 million in grant funding to support the needs of IRONMAN race communities across North America. The IRONMAN Foundation will partner with the Firehouse Subs Public Safety Foundation to provide more than US$33,000 in critical life-saving equipment to the Tempe Fire Department and Tempe Police Department. The Tempe Fire Department will receive five rapid extrication systems, allowing patients to be transported quickly and securely. In addition, the Tempe Police Department will be adding 20 motorcycle helmets with wired headsets allowing officers the ability to safely and effectively communicate while on duty. Now in their fifth year of partnership, the Firehouse Subs Public Safety Foundation and the IRONMAN Foundation program has provided more than US$375,000 in equipment to 29 first responder organizations in 12 IRONMAN race communities.